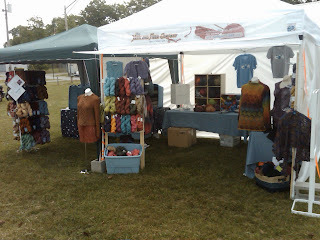 Just got back from the Maine Fiber Frolic, it was a great sheep and wool event although we managed to book two shows the same weekend so I went there and Cyndi ended up teaching a sold out sock knitting class at the Granite State Knit-In up on Loon mountain (a fabulous event hosted by New Hampshire knitting guilds). We featured some great yarns by Cascade, Cherry Tree Hill, Dream in Color, Ivy Brambles, Kauni, Schaeffer, Sereknity and Serendipitous Ewe, and Ivy's Knitting with Friends line that went over very well with the folk up in Maine! 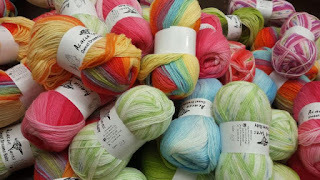 Hot items were Cascade Ecological Wool, Ivy Brambles Sockscene Sock Yarn, Serendipitous Ewe Self Striping Sock Yarn, Knitting with Friends Needle Gauges and Greeting Cards, Ivy Brambles Superwash Worsted and the so hard to get Kauni Yarn. Thanks to the organisers who put on a great event and made everyone feel very welcome!